Solvay, a leading global supplier of Peroxides, and Aquatic Concept Group (ACG) have signed a global joint agreement to work together in pursuit of sustainable growth in their worldwide aquaculture operations. 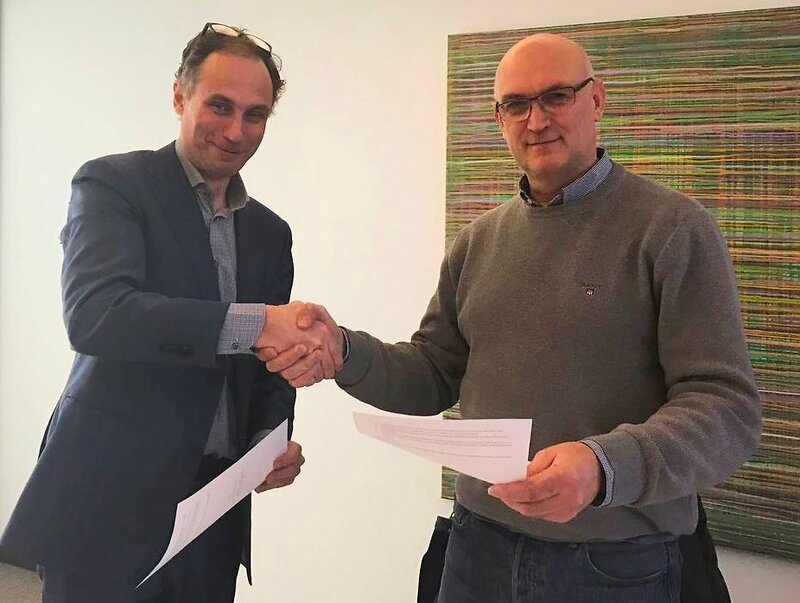 Following several years of tight collaboration in the distribution of peroxide products on different local markets, Solvay and ACG decided to strengthen their relationship and to extend it globally. The agreement covers three areas: safety, market development and business strategy. In each of these areas Solvay and ACG commit to work together for a constant improvement as well as the development of new innovative concepts, including a technology platform for the Aquaculture industry. The agreement takes effect from today. SOLVAY PEROXIDES Global Business Unit is a worldwide market and technology leader in Hydrogen Peroxide. Providing functional qualities such as bleaching, oxidation or disinfection, it delivers innovative products and tailored services to the pulp, chemicals, aquaculture, food, mining, waste water treatment, home care and textile industries. SOLVAY PEROXIDES operates 17 plants in North and South America, Europe & Middle East, Asia and Australia. It runs the world’s biggest Hydrogen Peroxide plant in Map Ta Phut (Thailand). With its JV partner Peróxidos do Brasil, Solvay Peroxides is developing a new plant concept, myH2O2®, especially designed for installation at customer sites in remote locations. Innovation capacity and agility are two of GBU Peroxides’ strengths. An international chemical and advanced materials company, Solvay assists its customers in innovating, developing and delivering high-value, sustainable products and solutions which consume less energy and reduce CO2 emissions, optimize the use of resources and improve the quality of life. Solvay serves diversified global end markets, including automotive and aerospace, consumer goods and healthcare, energy and environment, electricity and electronics, building and construction as well as industrial applications. Solvay is headquartered in Brussels with about 30,900 employees spread across 53 countries. It generated pro forma net sales of € 12.4 bn in 2015, with 90% made from activities where it ranks among the world’s top 3 players. Solvay SA (SOLB.BE) is listed on Euronext in Brussels and Paris (Bloomberg: SOLB:BB - Reuters: SOLB.BR). AQUATIC CONCEPT GROUP’s focus is on supplying solutions to Fish Welfare and Safety in Food Processing. We have an experienced team of dedicated specialists with a high degree of knowledge and skills in the management of fish health, biosecurity and hygiene in processing operations.In cooperation with our customers, we provide Turn-Key Solutions and Consultancy Support to ensure they are positioned as leaders within their industry.ACG Group is established in Norway, Denmark, Scotland, Ireland, Croatia, Canada, US, Chile and Australia.